. . . we are a digital marketing agency specialising in search engine friendly websites, blogs and social media. We are passionate about web accessibility and creating a positive user experience. If you are looking to bring your digital campaign up to speed; get in touch. Great example of a small B2B site built from a bespoke WordPress framework. 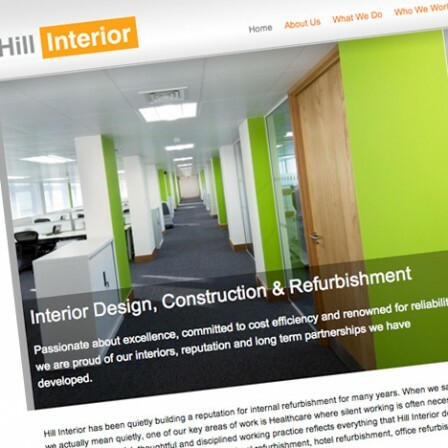 The easy to use content management system allows Hill Interior to add their own images and text content.